F itzsimons Consulting specialises in areas related to entrepreneurship and growth. 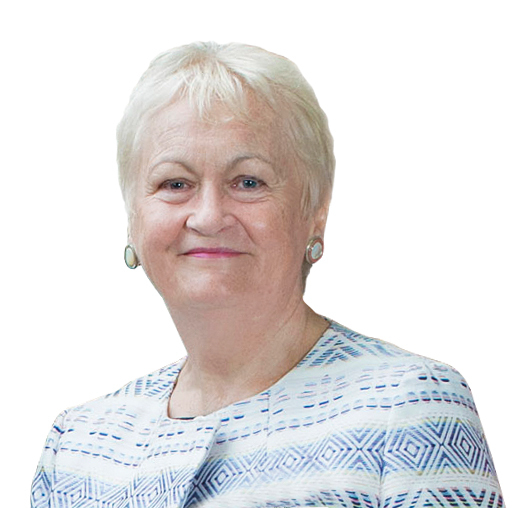 Paula Fitzsimons, founder and managing director of Fitzsimons Consulting, is a recognised expert on entrepreneurship. Paula has been the national coordinator for GEM for Ireland since 2000. The annual GEM report is recognised as giving a unique insight into early stage entrepreneurial activity in Ireland. Paula is a former President of the consortium of GEM national teams, and a former Director of GERA, the governing body for the Global Entrepreneurship Research Association. Recognising that fewer women start new businesses and, of those that start, fewer have significant growth ambitions than do men, Paula Fitzsimons designed and developed the Going for Growth programme. The initiative is focused on peer support as a means of nurturing ambition among established women entrepreneurs and providing support to achieve growth aspirations. The Going for Growth initiative is funded by Enterprise Ireland and KPMG. (www.goingforgrowth.com). Having just completed an 10th cycle, Going for Growth has supported over 600 women entrepreneurs to achieve their growth ambitions and measures its success in terms of the participants’ increased turnover, additional employment created and the number of new exporters. Going was Growth was awarded the European Enterprise Promotion Award 2015, Investing in Entrepreneurial Skills, and featured extensively in a book Inclusive Business Creation – Good Practice Compendium, published in May 2016 by the OECD and European Commission. In recognition of her work in the area of female entrepreneurship, Paula received the WMB Boots Empowering Women Award 2014. More recently, Fitzsimons Consulting has developed and delivered Back for Business, an initiative to support early-stage entrepreneurs among returned Irish emigrants. This programme is fully funded by the Department of Foreign Affairs and Trade. Having successfully designed and implemented the ACORNS Pilot and ACORNS 2 and 3 programmes, Paula and her team in Fitzsimons Consulting are very enthusiastic about implementing this latest phase of the ACORNS initiative.